Long time since I wrote any original content on this blog, so unlike me !!! , had been very busy with office work , trainings, certifications etc etc , all this was sort of becoming a monotony for me , hence I paid a visit to Landmark where I knew a sale was going on . The intent was to pick some work of an Indian author. After dilly dallying with some of the books in the best sellers section , I laid my hands ( accidentally though) on this book. The very name Chanakya catches our imagination , the master strategist inspires practically everyone , his Rajaneeti (art of Statecraft) and artha shaastra (theory of economics) have inspired people from all walks of life. 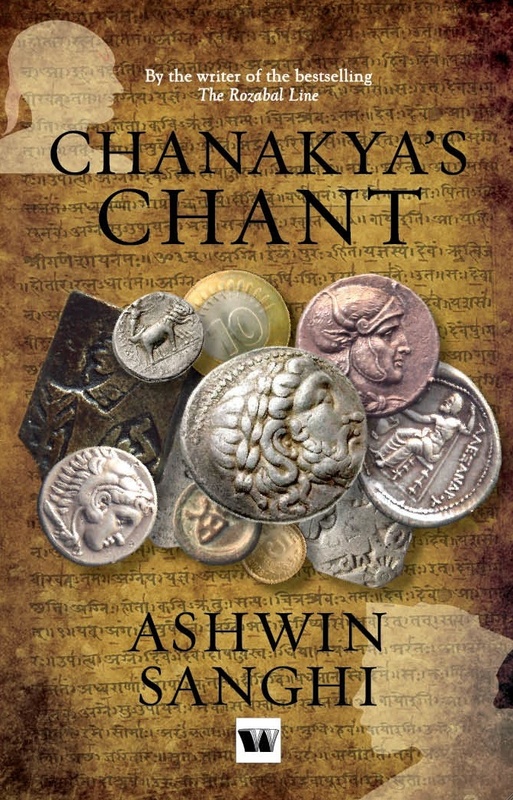 Many works of art have come with Chanakya as the central theme andthis book Chanakya’s Chant would definitely go down as one of the very good books written with Chanakya at the centre. Chanakya’s Chant takes us between 2 stories which are separated by 2300 years, we have Chanakya in one and Professor Gangasagar in another , both men have the same mission, having a stronger India under a very able leader. They wish to do this by replacing the existing corrupt regimes and installing their protégés in the highest corridors power. “How they go about doing this” forms the crux of the book. The way the author has used the power of fiction to derive home the point was good. Just because you know the end result of the stories does not mean it would be less interesting to read this book, its fanatastic , the way the author has built the plots really fantastic. The plot of Gangasagar Mishra and Chandini Gupta keeps the readers glued to the book. The author has terrific story telling skills and you are really going to love the story as you read it. One complaint (if I can have any) against this book is this, Great men achieve greatness by facing equals and not by facing substandard opponents, Chanakya too had sort of an equal in Rakshas -amatya .Some stories on Chanakya show us this aspect , we do not find that in this story , so is the case with Gangasagar Mishra. The author would not have brought these elements as it would elongate the novel , nevertheless he must have gone with it.This would have made it a more enjoyable read. Then there is this language issue , one can use slang in the modern plot but using the 4 letter words in older plots that talks about a 2300 year old story sort of made me uncomfortable. As an avid follower of Indian Politics I would say one thing ,while winning U.P. and Bihar are pivotal for getting in to P.M.’s seat in India , one cannot become the P.M by having a majority just in Bihar and U.P. The author touches these 2 states and leaves the rest , he should have spoken about the others as well. All said and done, I should say that this is a very good effort by an Indian author, I loved the book , it was a gripping read and made me remember Jeffrey Archer in some points. I should say that this is one of the best books on politics by an Indian author. I would recommend this book to anyone interested in good fiction and in politics. I would love to read more from this author as well. Thanks for the nice review. Looking forward to pick-up this title. Many thanks for the words. I have ordered mine.